It took me a drive of 3 hours from Kampala to get to the Budongo forest. It falls on the way to Murchison Falls National Park. Budongo forest is renowned for its incredible Mahogany reserves. Bluntly put, it is the largest forest of Mahogany across the whole of East Africa. 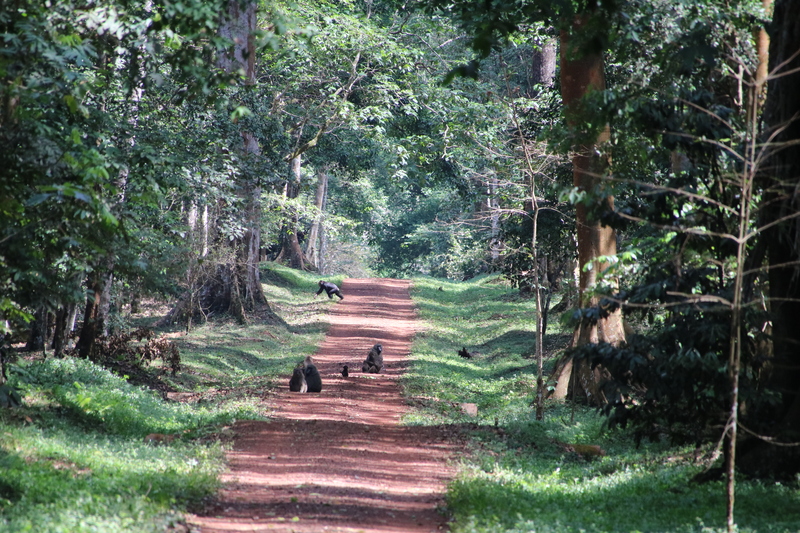 Moreover, it is also home to hundreds and thousands of Chimpanzees, being the largest habitat of Chimpanzees in Uganda. Budongo was a thrilling experience for me. It had two amazing tourism sites, each of which was immense fun. Kaniyo Pabidi and Busingiro are these two eco-tourism sites which are rich with iron wood and Mahogany trees. What thrilled me more than these eco-tourism sites was the chunk of remote landscape measuring up to approximately 115 kilometers. This isolated area was the home for lions, leopards as well as buffaloes. My favorite activities within the Budongo forest, Uganda were birding and chimpanzee tracking. This forest offers you the ideal platform for bird watching. Rather, it provides you with a guided tour for Bird watching. The forest offers you an incredible bird safari with its more than 360 species of birds. The forest was extremely rich and welcoming for me. I was informed that in addition to these bird species, it was home to 290 species of butterflies, 190 species of moths, 465 species of trees as well as 24 mammals. Along with bird safaris, the other most prominent attraction of the forest is its chimpanzee tracking experience. This experience was made all the more easy for me with the variety of accommodation options offered by the Ugandan Wildlife authority. These exciting accommodation lodges enabled me to enjoy chimpanzee trekking and also benefit from exciting forest walks. I used to set out early in the morning so that I could come across a number of these forest residents at their best. Budongo forest was truly one of the most memorable places I visited in Uganda.